Over the last month or so I have made three trips to Burwell Fen in Cambridgeshire. It’s a flat landscape not far from the River Cam, wild with a significant amount of fallow land in an area famous for its drains and dykes: the kind of landscape which harbours a large number of small mammals and is highly attractive to owls and other birds of prey. My first visit was on a beautiful sunny afternoon towards the end of November with a soft winter light and still air. Four short eared owls appeared in daylight at about 1.30pm and they were still hunting when I left at sunset. They were a magnificent sight against the low evening sun which highlighted their bright yellow eyes with their wings backlit as the birds quartered the fields hunting for voles amongst the grasses and reeds. 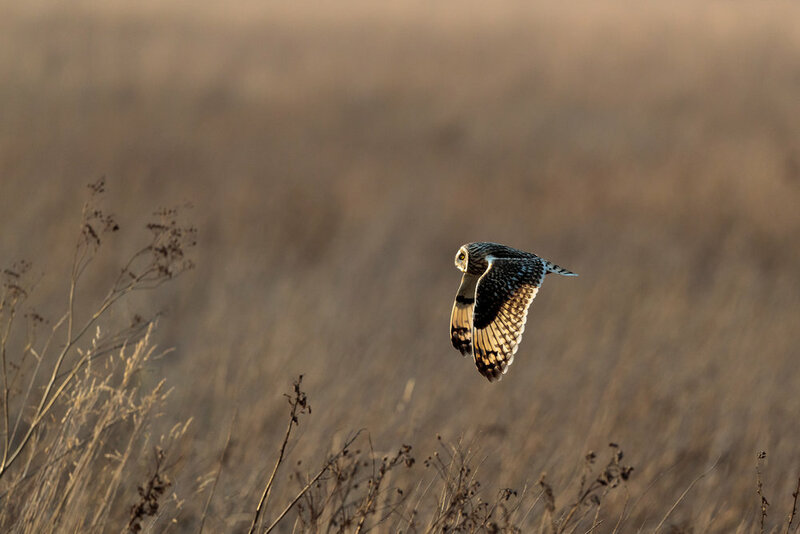 On my second trip the shorties were in the air but they remained some distance away and were too far for me to photograph. Again on my third trip the owls were present, mainly in the distance but occasionally passing closely by. 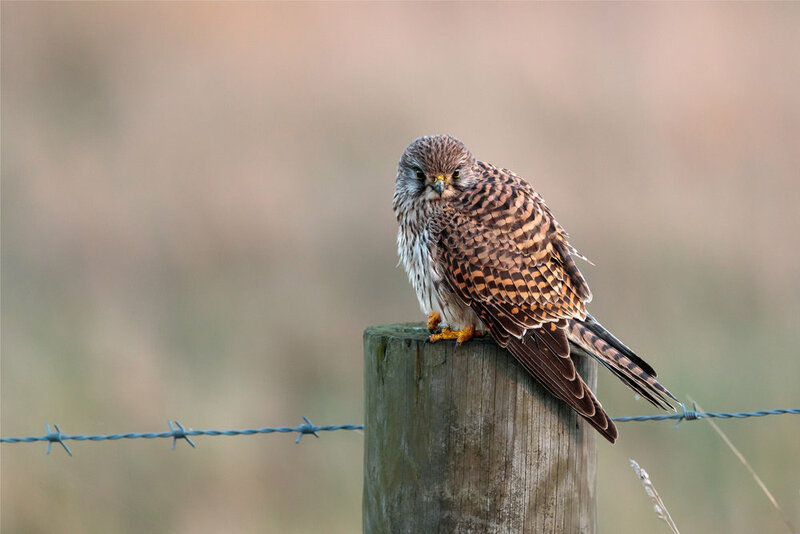 However, the highlight of the afternoon was a kestrel which for about five minutes perched on a nearby fence post. I walked progressively towards the post, taking photographs and she remained quite still, watching me all the time. I walked to within about ten metres of her and had a wonderful view of this most handsome bird of prey. 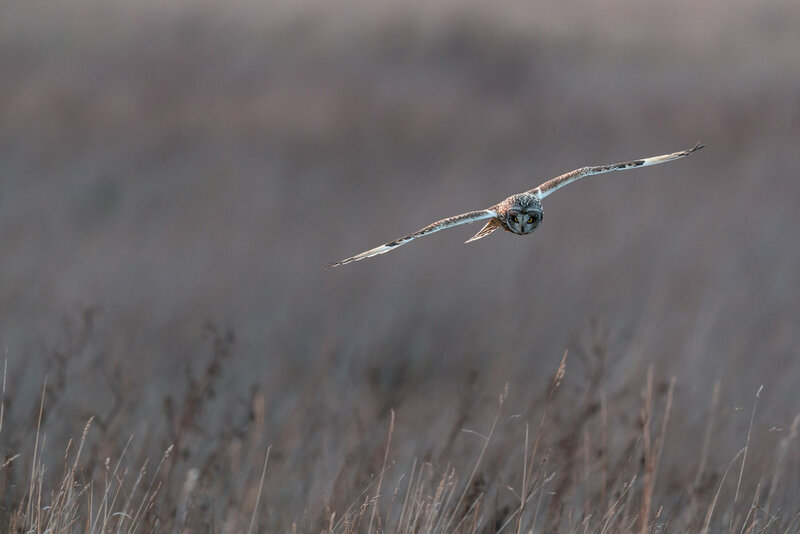 If you like birds of prey, Burwell Fen is a great place to visit. The following list contains a link to each blog article. GET NEW POSTS VIA EMAIL Enter your email address to subscribe to this blog and receive notifications of new posts by email.